As our food + garden summer camp comes to a close, our campers are creating their last recipes to add to their Butter Beans cookbooks. 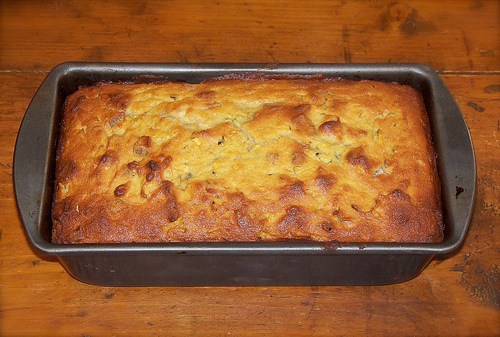 Hands down, one of their favorite foods they’ve made at camp was the vegan zucchini bread. They ranted and raved about this quick bread, so we thought we’d share the delicious recipe with you! Makes 2 loaf pans, recipe adapted from hell yeah it’s vegan! Grease 2 loaf pans, preheat the oven to 350F. Mix together flax seeds with warm water, then add sugar, oil, applesauce, vanilla and beat well. Add grated zucchini, and stir until combined. In a separate bowl, sift together remaining dry ingredients. Add dry mixture to wet ingredients and stir until combined. Pour batter into pans and bake for 50-55 minutes. Thank you to all of the wonderful families and campers we have met along the way this summer! We hope that your children leave inspired to cook creatively, grow edible gardens, compost food scraps, support local farmers, preserve foods, make their own ice cream, and set good examples for those around them. If you are interested in signing up for the adventures yet to come during summer camp 2013, shoot us an email at camp@butterbeanskitchen.com, we have some early bird discounts that you won’t want to miss! Hi, I made the Vegan Zucchini Bread and it didn’t seem to fully cook inside, even though I left it in the oven for 1.5 hours. Everyone who ate it seemed to like it but I’m not sure it came out the way it was supposed to. Is it supposed to be kind of doughy inside? Maybe the zucchini was too watery? It was fresh from my garden. Thanks for trying out this recipe! We are glad it came out tasty, but sorry to hear about the interior doughy-ness. Perhaps your zucchini were a bit watery, which could have lead to what you are describing. Next time, try patting the zucchini with paper towels, even squeeze them a bit to get the water out. That should help. Let us know if you end up trying it out again. Thanks so much for reaching out! Thanks for the reply. Maybe I could put less water in with the flax. I’ll let you know if I try it again. That could work too! It’s wonderful that you are growing zucchini in your garden, keep up the great work! thanks for including our recipe on your blog!